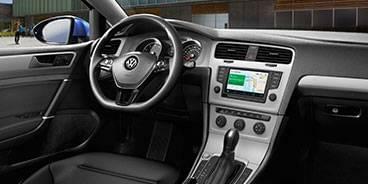 The 2017 Volkswagen Golf has streamlined trim levels, leaving drivers to choose from two main trims in addition to numerous other variations, such as the e-Golf, Golf GTI, Golf R, and new Golf Alltrack. 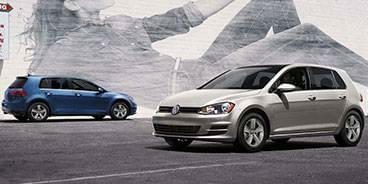 Out of these, the fastest Volkswagen Golf is the Golf R with its 292 horsepower and performance-oriented features. Every regular version of the Golf runs on the same 1.8-liter turbocharged engine with 170 horsepower and 199 pound-feet. The Golf’s hatchback design leads to a very spacious interior, one of the reasons it is so popular. 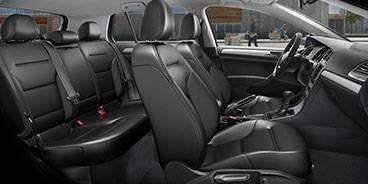 There is plenty of shoulder room and legroom throughout and 22.8 cubic feet behind the rear seats. Folding them down gives you 52.7 cubes, putting competitors to shame. The Golf is also very safe, earning a 5-Star Safety Rating from the NHTSA and coming standard with a rearview camera, hill hold assist, and a post-crash braking system. The base 2017 Golf S trim delivers an excellent value with more features than you would expect from a vehicle with such an affordable starting price. 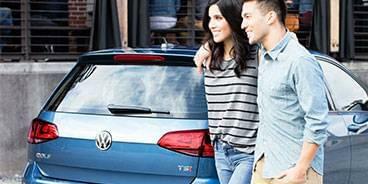 The Wolfsburg trim takes the already great features of the base Golf and enhances them. Get ready to experience the 2017 Volkswagen Golf when you visit Street Volkswagen. Our Amarillo, Texas, dealership can help you get behind the wheel of any Golf model on a test drive, helping you confirm that this is the compact hatchback for you.